Coming of Autumn: Background information when reading Mimi Malloy, At Last! This article relates to Mimi Malloy, At Last! Autumn of Age. Isn't that a beautiful phrase? 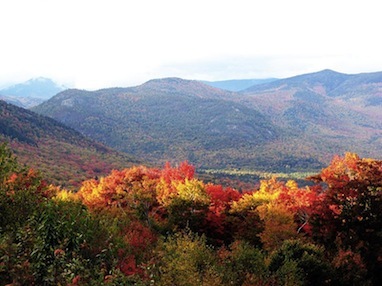 It conjures the image of magenta and orange leaves falling from trees, and the landscape preparing to take stock for a season, quietly hunkering down, stripping itself of the old, and getting ready for the new. In the First Impressions Review of Mimi Malloy At Last, by Julia MacDonnell, one reviewer offered this: "We read Coming of Age books, but this is the opposite. This book is the Autumn of Age." And it really is! Mimi Malloy grew up in the Great Depression. She has six grown daughters, is divorced, and has recently retired. She is in her 60s, well past the typical coming of age age, and yet it is at this moment in time – just when her own wind is blowing and she, like the landscape, is hunkering down – that she reinvents herself; finds herself anew. She experiences an Autumn of Age, indeed. 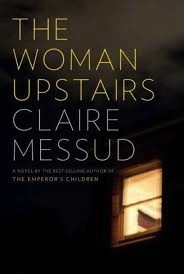 The Woman Upstairs by Claire Messud: Nora Eldridge, an elementary school teacher, finally awakens her dormant desires to be an artist. The Unlikely Pilgrimage of Harold Fry by Rachel Joyce: Recently retired Harold Fry gets a letter one day from a woman he has not seen or heard from in twenty years, who is writing to say good-bye. Harold decides he must see her, and so begins his trek - ultimately to a new sense of himself. Philosophy Made Simple by Robert Hellenga: After Rudy Harrington's wife dies and his daughters move out of the house, he buys an avocado grove in Texas and embarks on an adventure. 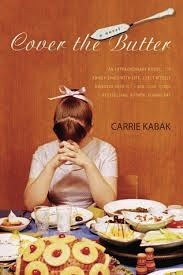 Cover the Butter by Carrie Kabak: Kate Cadogan has spent her whole life pleasing other people, until one day she decides, finally, to break free and go for her own dreams. The Deadwood Beetle by Mylene Dressler: A retired entomologist finds his mother's sewing table in an antique store and is compelled to buy it; finally make peace with his family's terrible, secretive past; and take a chance on love. Never Change by Elizabeth Berg: Myra Lipinsky tells herself that her life is full enough – she has her job as a visiting nurse and her dog, Frank – but when the boy she adored as a teen becomes her patient, her whole world opens up. Back When We Were Grown-Ups by Anne Tyler: A fifty-three-year-old grandmother and consummate party planner finally asks herself if she is living the life of an imposter. 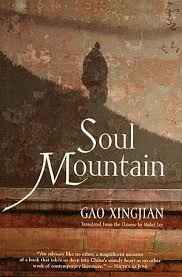 Soul Mountain by Gao Xingjian: In 1983 Gao Xingjian was diagnosed with lung cancer and told he had very little time to live, but six weeks later, when he was checked again, his cancer was gone. Given a second chance at life, he fled Beijing and traveled an epic adventure to find Lingshan – Soul Mountain. This novel is about that journey. Julie and Romeo by Jeanne Ray: A funny novel about love finally found, this is the story of two rival florists in Boston. Their families hate each other but, despite this, the florists fall in love. Winter Solstice by Rosamunde Pilcher: Five very different people, all plagued by loneliness, regret and pain, end up together in an old house in Nothern Scotland where, with the help of one another, they find themselves again. This "beyond the book article" relates to Mimi Malloy, At Last!. It originally ran in April 2014 and has been updated for the March 2015 paperback edition.